Activity has strongly decreased at the volcano. 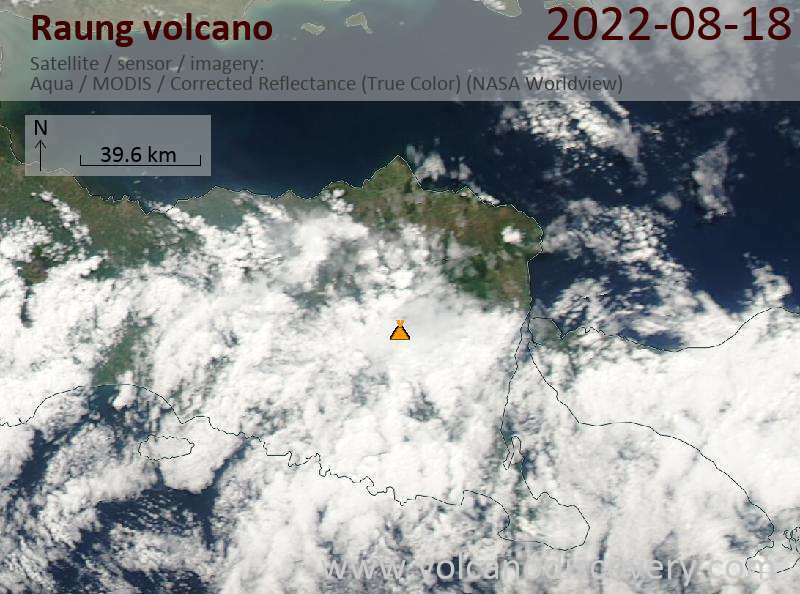 When we visited Raung during 14-15 August, we observed pulsating, often near-continous ash emissions that produced plumes of several hundred meters. They often consisted of dark jets of ash, presumably from phreatomagmatic activity inside the conduit. 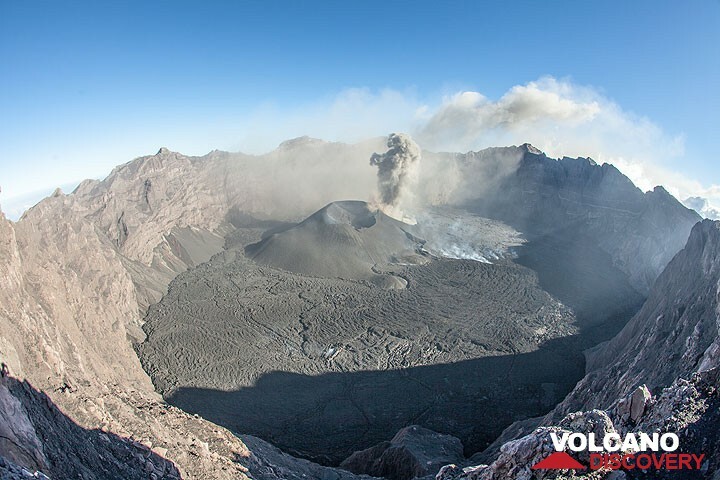 This activity originated from the lower, southwestern vent of the large, double-crater new cinder cone in the eastern part of the caldera. The larger vent to the NE was almost entirely inactive, except two small, very weakly active effusive vents on its inner walls. Occasionally, glowing lava blocks were pushed out from these. The recent lava flow was no longer active. Like a giant pancake, it has completely covered the caldera floor surrounding the large cinder cone. The explosive ash emissions described above stopped during the afternoon of 14 Aug and so far, it seems have not resumed. 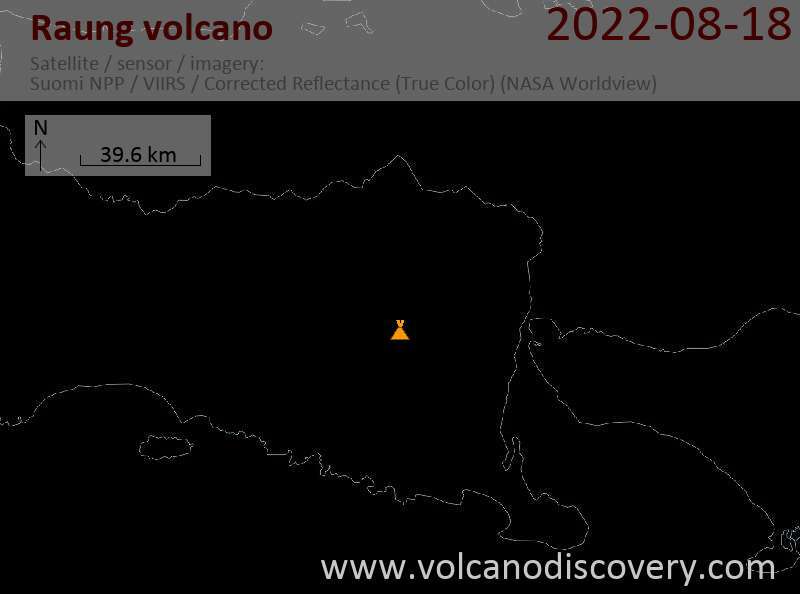 It appears likely that the eruption has more or less come to an end. See also: Pictures from the expedition and the visit to the crater.